Arena Footing and Stall Bedding Directory - O Horse! 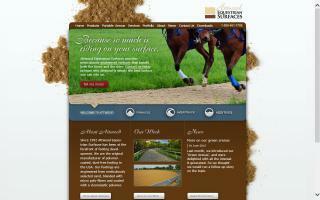 Complete footing solutions from the equine industry's leading experts. 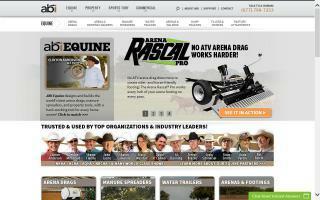 Largest selection of arena drags for tractors & atvs. One of the latest breakthroughs in recycled rubberized pavement made from ground, used tires, this material is poured in place. Perfect for horse stalls and animal kennels. Five year guarantee! Makes a great sound barrier, keeps your horse safe, and is not a tripping hazard. Less hip and joint pain. Call today for more information! American Hemp horse bedding comes from the woody core, also known as hurds, of the industrial hemp field crop. Hemp hurds are more absorbent, lower in dust, longer lasting, and control odor better in comparison to timber based beddings. Hemp is non-allergenic, and when grown for fiber, it typically has a 90-day grow cycle and does not require pesticides. We are the NW USA regional distributor for MAG indoor arena dust control. With MAG installed in your sand footing, you may never need to water again! Saves time, hassle, and the expense of watering. Your footing maintains its perfect moisture content for optimum riding texture. MAG also STOPS freezing of your footing and will dramatically decrease condensation on the overhead and walls of your indoor arena, stopping the "rain". 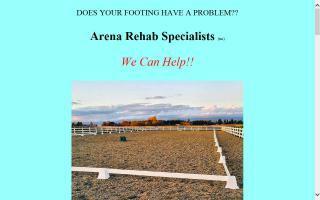 We are riding arena footing specialists, specializing in only the best German and American technology. Our own Equi-Fleece brand of imported German poly felt is the best we have found, giving longevity, ease of maintenance, and performance under foot. We can construct from scratch or renew and rehab your current problem arena footing. 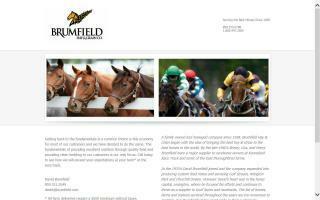 Full service arena footing and consultation services covering the US and Canada. 18 years in business. We provide totally dust free surface and Geotextile sand-blend footing. 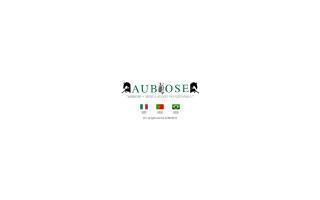 Aubiose horse bedding is a natural bedding made from flax and hemp. Aubiose bedding is obtained from hemp, an annual grown without pesticides, fungicides, or insecticides. It's also known as hemp horse bedding. Baker and Son Trucking, Inc.
Stone dust and riversand for riding rings, delivered by the truckload and spread. Serving all of Northern Virginia's horse country. BWF Farrier Service has served the area since 1996. Graduate of Eastern School of Farriery and member of the North Carolina Horseshoers Assn. Provide quality hoofcare with genuine care for your equine. 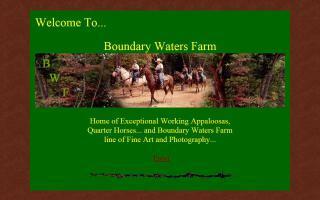 Boundary Waters Farm produces quality Appaloosas and Quarter Horses with athletic ability and good minds. Brumfield Hay & Grain Co., Inc.
Providing for your equine needs. Hay, bedding, Pennfield, Purina, Woodys, and Brumfield Stride. Both English and western tack. Supplements and health supplies. Also offering leather repair, saddles, gloves, helmets, boots, clippers, and barns needs. Come see us. Serving the horse industry since 1938. "Service a Family Tradition"
We sell quality pine shavings by bulk orders for semi loads, pick-up loads, and dump truck loads.